This is an oldie, but goodie - turning envelopes into treat bags. I found these really cool Seventies envelopes at a flea market. (It was more flea than market, but I did come away with some great stuff!) Don't you love the orange and hot pink? 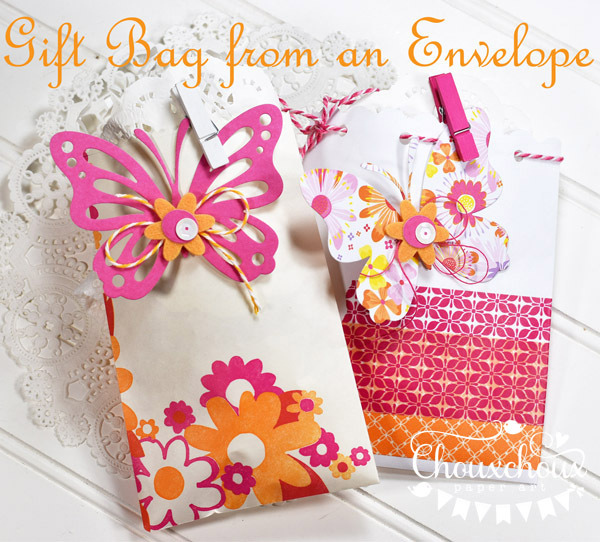 It couldn't be easier to turn your envelopes into a quick gift bag - perfect for a little treat or gift card - maybe both? 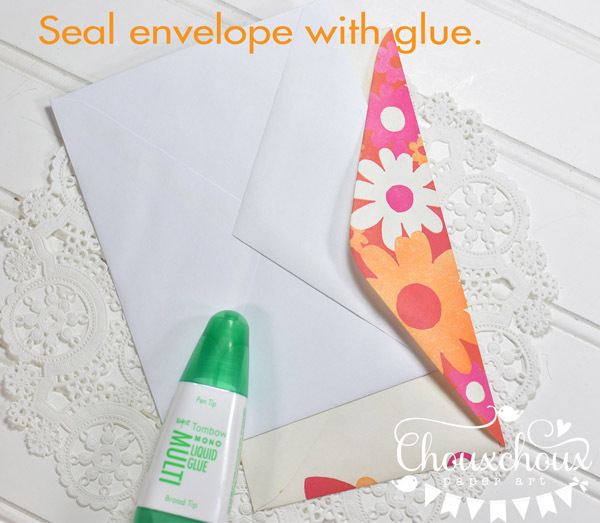 Seal the envelope (I use glue, instead of just licking it - want to make sure it stays sealed). 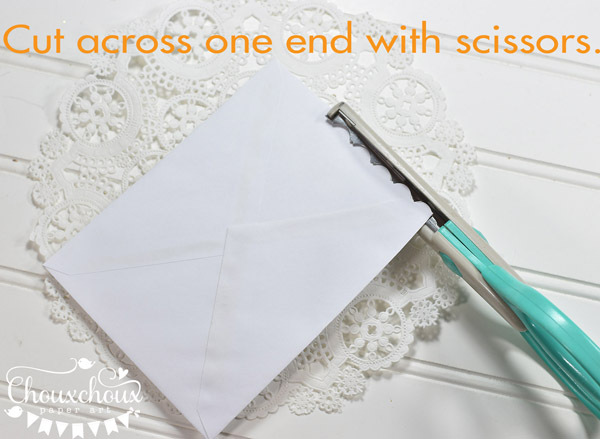 Then cut open one end - you can use pinking shears or decorative scissors. This one already has some fun flowers. I pinked across the top, clipped on a pretty butterfly and glued in a white doily on the inside. Love it! This one is a plain white envelope. I wrapped wide washi tape around the bottom. Holes are punched across the top and threaded with twine. It got a pretty butterfly, too! Need a quick gift bag? Try an envelope! Hope you're having a lovely week. Happy you came by! love it! been a long time since I've done this. 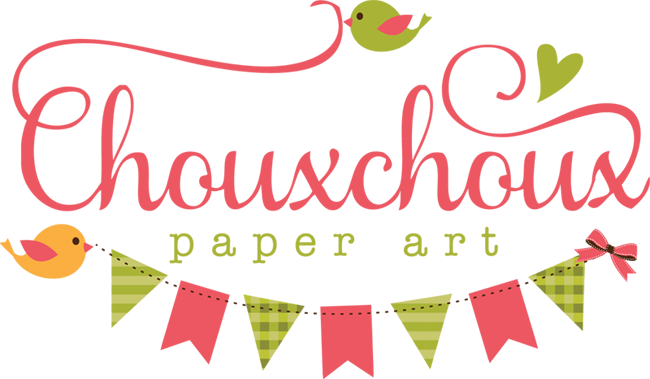 Where do you get your wide washi tape? 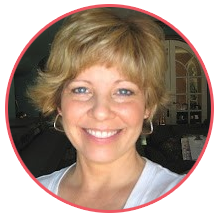 Hi, Debbie! (I'm sending you an email, too.) I got the wide washi from Michaels quite a while ago. These look lovely Lori. A great idea to fill a basket with treat bags ready for the trick or treaters. What a great idea...fab way to use an envelope! Wonderful gift bags with pretty butterflies, Lori!!! What a cool idea! 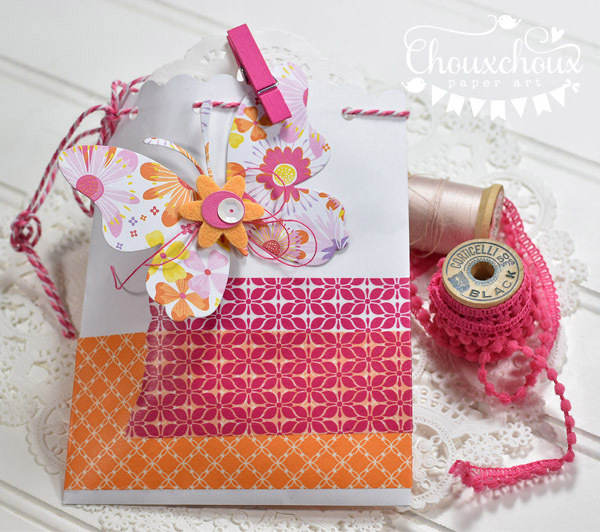 You found some fabulous envelopes at the flea market - I love this colour combo! 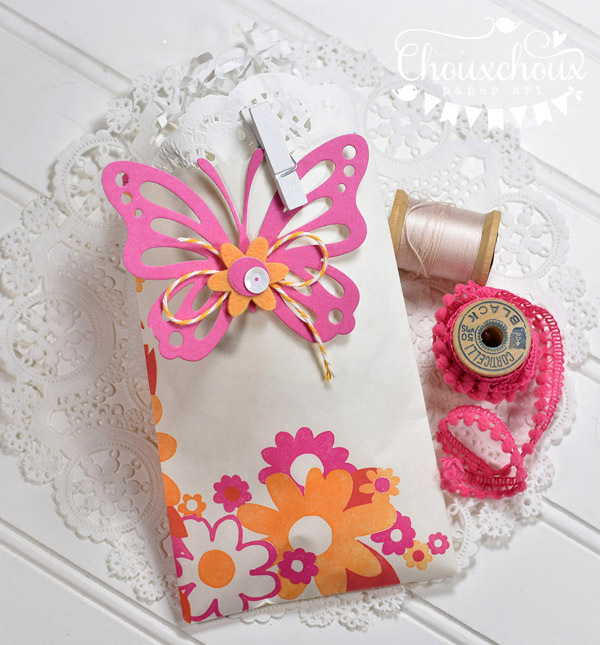 The finished bags are adorable - love the butterflies! What a great idea! And I love those envelopes! These are awesome Lori!! I love the colors and design! Super simple idea...so creative! Very pretty gift bags! Such a fabulous quick idea! Love it!